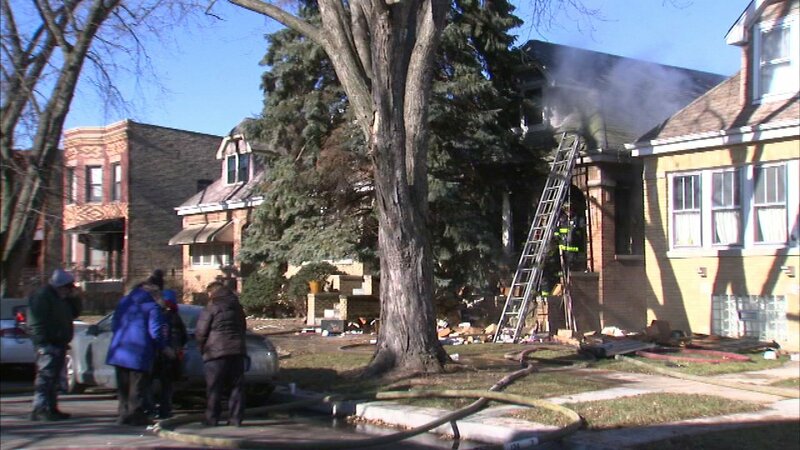 CHICAGO (WLS) -- Fire investigators are trying to determine who lived in a house that caught fire on Chicago's Northwest side. Crews were called to put a fire at a one-and-a-half story bungalow in the 4300 block of West Henderson in the Kilbourn Park neighborhood on Wednesday. Fire crews quickly extinguished the flames that blew out the first floor, but not before it spread to an adjacent house. Investigators say squatters might have been living in the bungalow.